In 1974, Sport Court pioneered the backyard court. 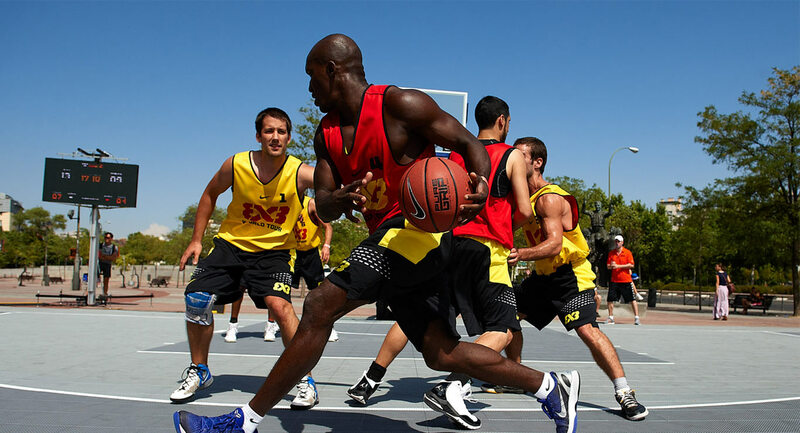 Since then, Sport Court has installed more than 50,000 courts worldwide, for over 50 NBA coahes and players, including Shaquille O'Neal and Larry Brown. Sport Court has become the world's largest court builder by providing you with hometown service. Our team is committed to quality and will be there till the end to get your indoor or outdoor court done right. Sport Court South is committed, it’s a perspective that helps us never let our guard down: to always be the best and to be the leader in the installation and servicing of modular sports flooring. That’s our character. That’s who we are. "After the tornado, Patti and her staff went above and beyond the typical retail experience. Patti didn't take advantage of our situation, rather she was a blessing to us. Her service after the sale would lead me to purchase from her again and again." Sport Court South is ready to make your court—and your experience—the very best.